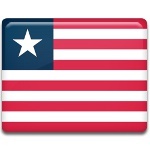 The Liberians celebrate one of the public holidays on November 29. This holidays is called William Tubman's Birthday and it marks the birthday of the longest serving President of Liberia William Tubman. William Tubman was born on November 29, 1895. He was brought up in a strict discipline. Tubman studied at the Methodist Cape Palmas Seminary and Harper County High School. He also participated in several military operations and was promoted to the rank of officer. He began the political career at the age of 28, when he joined the True Whig Party. Gradually his influence rose and finally he ran for the 1943 presidential elections. He was elected on May 4 and inaugurated on January 3, 1944. As President of Liberia William Tubman made much for the development of the country. He attracted foreign investments to modernize the economy and infrastructure, making Liberia the world's largest rubber producer and the third-largest iron ore exporter. The years of Tubman's administration are known as Liberia's golden age. William Tubman served as President of Liberia till his death in 1971. His achievements are not forgotten and he's often called to be the father of modern Liberia. His birthday is annually celebrated on the national level.